Order your plaque today. Click on a plaque style below to get started. Wood plaques; Cover and profile. What are the CFO awards? CFO's perform services that help businesses thrive, not merely survive. Yet, they often receive little recognition for those services ... nominating a CFO for excellent performance is one way to thank them. 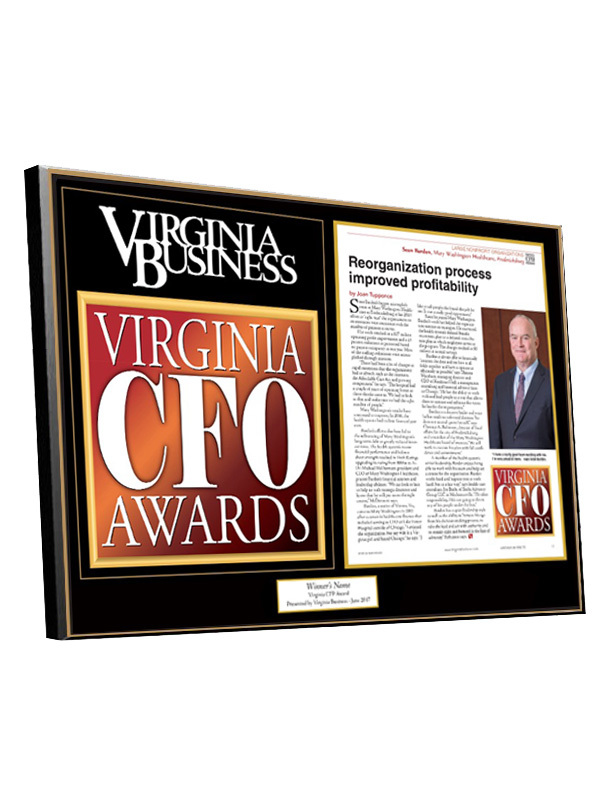 CFO Award nominations are usually due at the end of April. 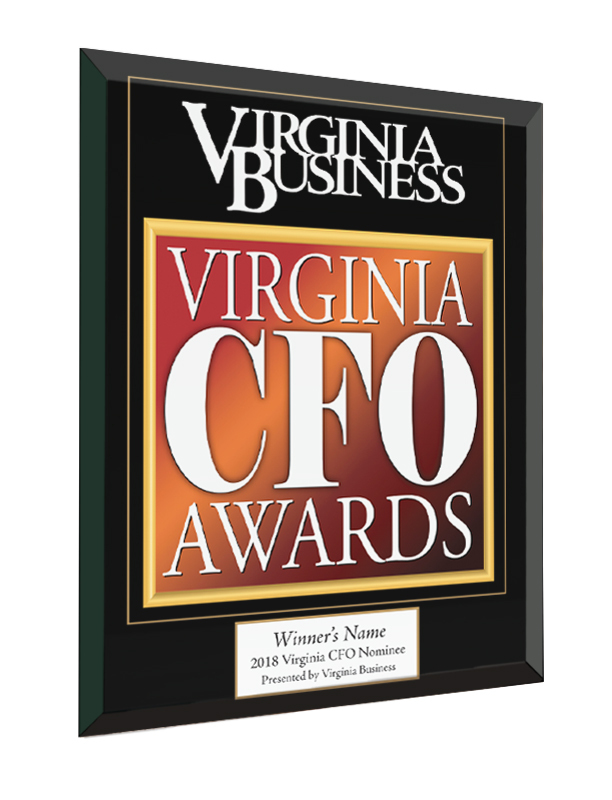 Click here to nominate your firm's CFO! We are the OFFICIAL provider of reproductions for Virginia Business. If you have a question about placing an order, please contact Lisa Niemeier, Marketing Services Manager - (804) 937-3777.